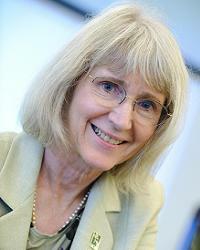 Eugenie Scott, executive director of the National Center for Science Education will be in Nashville October 27th. The title of her presentation is “Why the Tennessee Academic Freedom Act Matters to YOU.” She is my guest on Religion For Life to discuss this legislation, offer history and insights to the evolution/creationism controversy, and promote the teaching of science. Thursday, October 18th at 8 pm on WETS, 89.5. Sunday, October 21st at noon on WEHC, 90.7. Sunday, October 21st at 2 pm on WETS, 89.5. Monday, October 22nd at 1 pm on WEHC, 90.7. Via podcast beginning October 23rd.